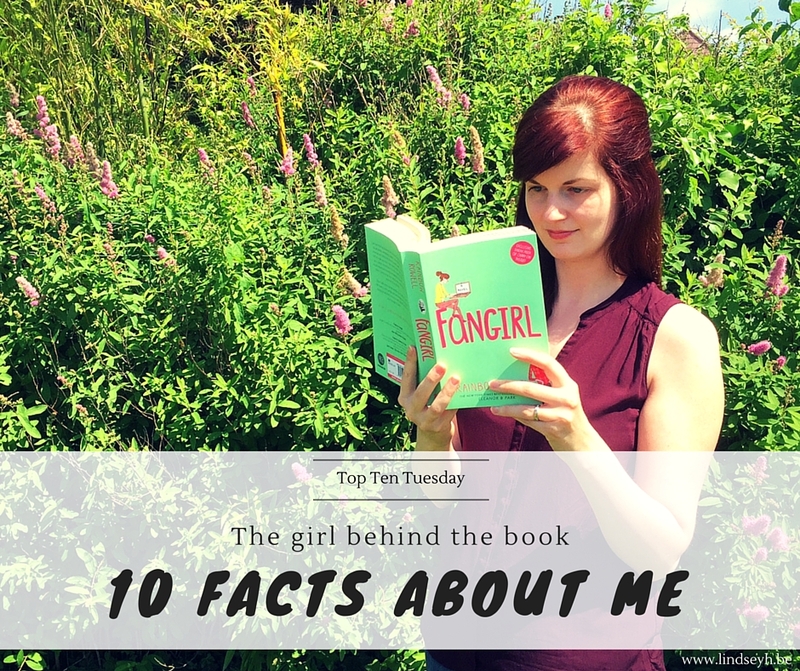 Today’s Top Ten Tuesday is all about a subject I have no doubt you’re all waiting to hear about… me! I love love love any book by Sarah J. Maas. If I would have to choose one favourite author (which is one of the most difficult choices you can ever ask a bookworm), it would be her. Definitely. Also J.K. Rowling. And Leigh Bardugo. Three favorite authors of the moment. My birthday is on Halloween and for some reason I am super proud of that (like I had any say in the matter…). Ever since I was old enough to understand that little fact I have enjoyed celebrating Halloween more than my actual birthday. It’s one of the only days in the year I actually enjoy watching scary movies (I usually don’t because I always end up really liking one character only for him or her to end up dead. Real bummer.). Another classic that will always be my favorite: Hocus Pocus. I read both adult and young adult fiction. Young adult often has a bad reputation but I think that YA can be just as good or even better than adult fiction. They just happen to have younger characters. I’ve read YA books that have had better writing, character development and world building than some adult books. So I read what I want depending on my mood and I dislike book snobism. There are lots of different books and genres out there and everybody should just read whatever they want to read. It should not matter what you like to read, whether it’s fiction or non-fiction, YA or adult, romance or fantasy, classics or recent releases, comics or magazines, and so on. I am introverted, shy, socially awkward and bordering on social anxiety. Fun times! However, I’ve learned to accept the way I am and like with anything I have bad days where I just want to cry when anybody expects me to make conversation and good days where I feel like I’ve got a handle on this thing called life. My job (marketing) and hobby (dancing) really have helped with that. I figure that if I can hold a presentation or dance in funny costumes in front of people, I can do anything. It’s still way out of my comfort zone, but I’m always immensely proud of myself if I managed to push through it and get it done. My advice to anyone who feels the same way: small steps are steps too and dare to be proud of that! This one time in high school my Dutch teacher told me I had a great writing style. Ever since then I’ve been dreaming of someday writing my own book. However, I have zero imagination and no clue as to what I would write a book about or how I would start. I did once start writing my own book as a kid. However, since I have zero imagination it was a blatant rip-off of a Fear Street book I had just read, but with me and my friends in the main roles. I wrote one page. Let’s never speak of it again. I’m a hopeless romantic and I love romance in books. I need to have a ship in a book or it just does not do all that much for me. That said, I am very critical of said romance in books. I don’t like insta-love, love triangles or abusive or obsessive relationships. It needs to feel real but still swoon-worthy. I need to be able to get 100% behind the romance. Some of my favorite book ships include Ron and Hermione (duh! ), Katniss and Peeta, Damen and Laurent, Tessa and Jem and Feyre and Rhys. do we have some things in common? Or are we completely opposites? let me know something about you and feel free to link me to your 10 facts post! I also read adult and YA titles. I really enjoy both. I am also fairly socially awkward and shy unless I am with my family or close friends. I just have a hard time with other people. I agree I am amazed at how many books some people can read in a year! I had n idea until I started blogging. Very cool to have your birthday on Halloween! I’m right there with you on the age thing except I’m even older! At 36 I still basically feel 25 or so until I get injured or sick and then discover that I don’t bounce back nearly as much as I expected. I’m not a fan of that! I always thought I was a fast reader (normally around 120 books a year but it was more pre-kids) until I started blogging. I’ve seen people with goals in the 200s. That’s awesome your birthday is on Halloween! I’m super jealous your birthday is on Halloween; its my favorite holiday! At first I tried not to be a romantic in books, really I did, but I’ve come to accept it. Like you I don’t like love-triangles or that insta-love stuff. I need development and actually connections. I have no idea how people read 150 books a year. Maybe if I didn’t have young kids…but still probably not. I used to be such a night owl and then when I turned 30 it was like “well, it’s 11 pm so it’s much past my bedtime, I’m going home now”. Hellow fellow October baby. 😉 Having your birthday on Halloween sounds pretty great. Haha, spend every moment you can reading? I don’t know. I can’t quite do it either though I’d like to get to 120 some time. I wanted to do it this year but a baby got in the way. 😉 Some also just read a lot faster than others. Hope you’ll still manage 120 books someday and if you do, please let me know how you did it 😉 also, congratulations on the baby! Ohh I love these facts, and yay Belgium, so close to France! 🙂 I don’t understand how some people can read 150 books a year, that’s insane, they have some kind of superpowers haha 🙂 Just like you, I love a great romance book, I’m so cheesy at times haha. We have a lot in common. I’m almost 30, awkward, and love both adult and YA books. I’d like to go to Belgium someday. I don’t get to travel very often. Hi, nice to meet you! 🙂 I hope you’ll be able to visit Belgium one day, it may be a small country but it has some pretty nice places. And I am a shy nervous turtle too so I tooootally relate to that part. And I agree! We should definitely congratulate ourselves for the small things. 😀 WE'RE DOING WELL. OMG Fall Out Boy! <3 They really are the therapists running through my speakers 😉 So glad you love them too! I love a good adult novel now and then, though the majority I read at the moment tends to be YA. It is awesome and I love it!